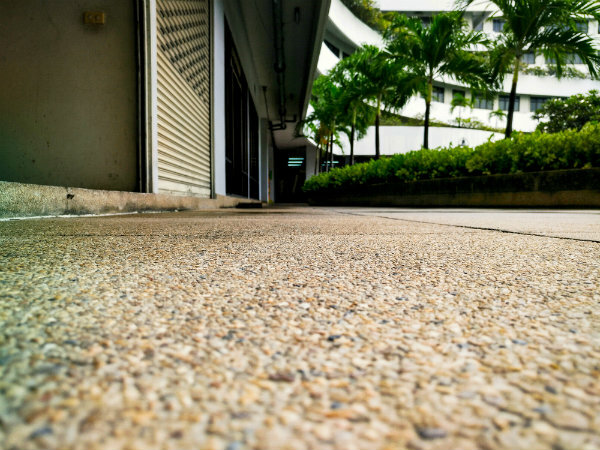 Exposed aggregate is a popular type of decorative concrete. It is created by removing the top layer of cement paste exposing the internal aggregates. It can be used for a wide variety of surfaces including driveways, floors, outdoor entertainment areas, paths, walkways, pool surrounds, wall, slabs and more. Standard Aggregate – Aggregate is mixed into the cement before it is laid. Requires an experienced hand to achieve the right balance and ensure durability. Seeded Aggregate – While quite an exhaustive process, seeded aggregate ensures a meticulous finish as the aggregates are placed little by little onto the wet surface. Polished Aggregate – Ideal for indoor areas where it won’t be in contact with water because polished aggregate can be slippery. You can choose high shine or dull matte. If you are looking for a concrete contractor in Geelong experienced with exposed aggregate, talk to L & A Martino. We have been in the concrete business for over 25 years and produce only the highest quality concrete surface. Talk to us today about exposed aggregate or our other concreting services.